Ronaldo, the costliest footballer in history is set to celebrate his 25th Birth Anniversary this February, Rikhav Khimasia looks into his future for the coming 12 months. Progressed Neptune is Sextile to his natal Saturn. Note that Saturn is the lord of his Sun Sign. 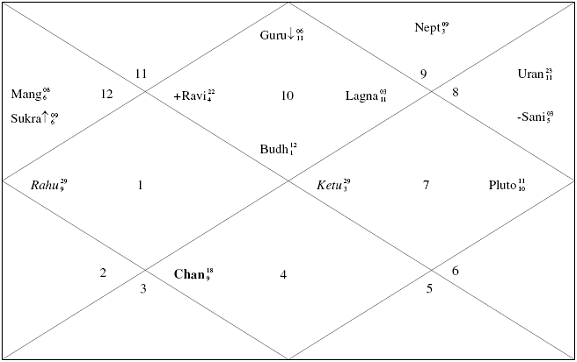 Transiting Rahu (Dragon’s Head – Moon’s North Node) is Sextile natal Saturn. Before 5 Feb 2010 – Beyond 5 Feb 2011, There may be financial difficulties or problems caused through others. In the first half of the year there may be love issues, problems within relationships and/or married life. 13 April 2010 – 12 June 2010, Rikhav Khimasia feels that he may get married, or decisions on the lines may be taken. In the last quarter of the year he may have frictions and troubles. The second half of the year wil be good for him, winning matches, scoring goals, newer and better opportunities a change in his own desires and ambitions are on the cards too. The third quarter of the year will lead him to change his life and its course for the better though. Family and marriage issues may trouble him and separations may be possible towards the few months of the end of the year. The last quarter of the year will be troublesome, but manageable, with legalities coming to the fore. Marriage issues may probably be a cause of concern in the last two months or so. This is a good year for quiet introspection and reflection. He should build on his inner strengths for further career advancement and ask himself what he needs to accomplish in life.